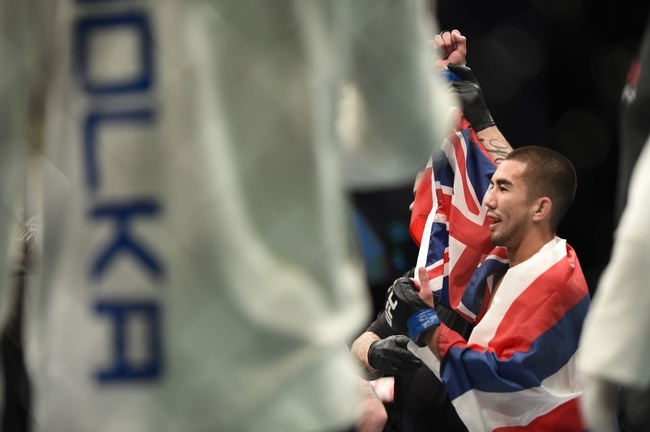 This past Saturday, Hawaii Elite MMA Fighter & Team Defend Hawaii representative Louis Smolka went to war against Irelands own Paddy Holohan in UFC Fight Night Dublin. Smolka was thrust into the spotlight this week after Joseph Duffy suffered a concussion in training and his bout against Dustin Poirier was cancelled. Smolka still had to face the same opponent, but went from opening fight on the main card to main event in a matter of days. We got to stream Louis’s fight on UFC Fight Pass during our huge KNOW1 blow-out sale. So lets just say the chaos from both the fight and sale gave us the energy we needed to keep our spirits up. Watching Louis do what he does best from an apple computer was good enough for us to support our ohana & watch him bring home the W for his state, his team, his family & himself. Good job Louis, hard work & sacrifice does pay off. Continue to excel in all aspects of life and continue to Defend Hawaii!